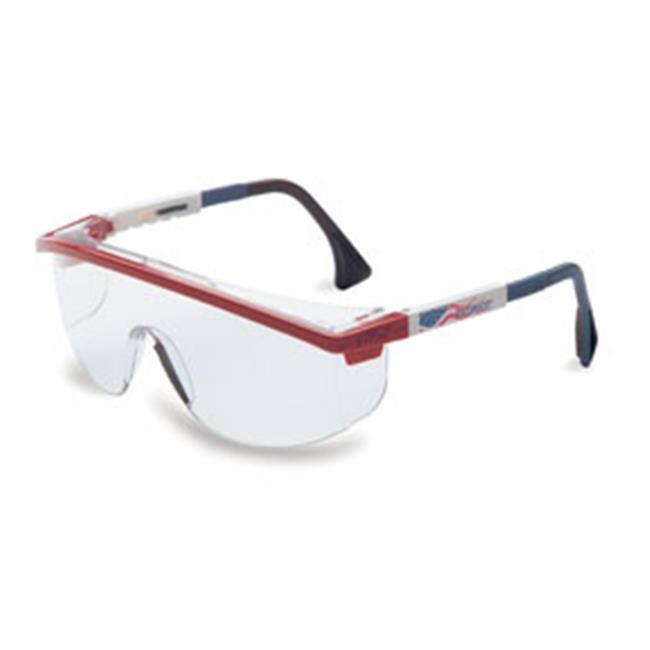 Patriot frame, clear lens tint, Ultra Dura lens coat. Contemporary, lightweight unilens offers panoramic vision. Easy and economical lens replacement system. Adjustable temple length.